Mott Haven residents are hopeful they can soon move ahead with plans to convert an abandoned health clinic into a multi-purpose cultural center that would benefit the community. Several hundred gathered last Saturday in front of the former Lincoln Rehabilitation Center at 349 East 140th Street for The Mott Haven Health, Education and Arts (H.E.ARTS) Street Festival, a day that was packed with cultural activities for all ages. 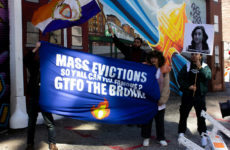 The activists and residents who organized the event hoped to draw attention to their proposal to transfer ownership of the city-owned building, which was shuttered five years ago, to a land trust they call the Mott Haven-Port Morris Community Land Stewards. They worry that otherwise the city will hand the building over to developers more concerned with profits than community. 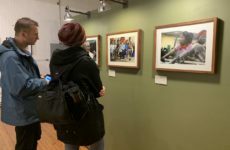 If they can obtain the empty 24,000 square foot building, the organizers say, they would turn it into a center from which local health, education and arts organizations would offer free and low-cost programs and services. The organizers unveiled a recent report by a university architecture class, with renderings of the re-envisioned space, along with a list of proposed uses for the center, gleaned from visioning sessions and visits with local organizations. That project was led by Professor Nandini Bagchee and her students at the Bernard & Anne Spitzer School of Architecture at the City College of New York. Their recommendations include a theater, a rooftop greenhouse and open work space. 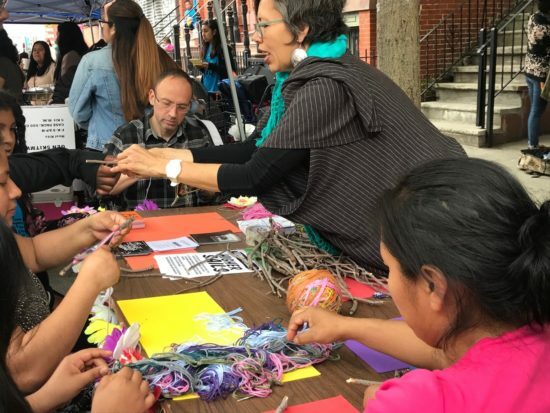 The neighborhood group recently came one step closer to reaching its goal when South Bronx Unite was awarded a $40,000 grant by The New York Foundation, which supports community organizing and advocacy groups across the city. That grant money will be used to develop a proposal for its reuse, according to Johnson, who added that that phase of the project should be completed some time in June. Students at Upbeat NYC wait to perform. In front of the abandoned building, 140th Street buzzed with activity. Local groups entertained the crowd with health and education demonstrations, children’s activities and cooking lessons. A packed musical and dance performance line-up included traditional Puerto Rican plena, the UpBeat NYC Latin Jazz Big Band, Ballet Folklore Muuchxiimbal, Faculty Latin Jazz Band, and UpBeat NYC/Corona Youth Music Project Orchestras. Local artists provided color by creating 10-foot murals while vendors sold arts and crafts. All afternoon, parents observed their children having fun. 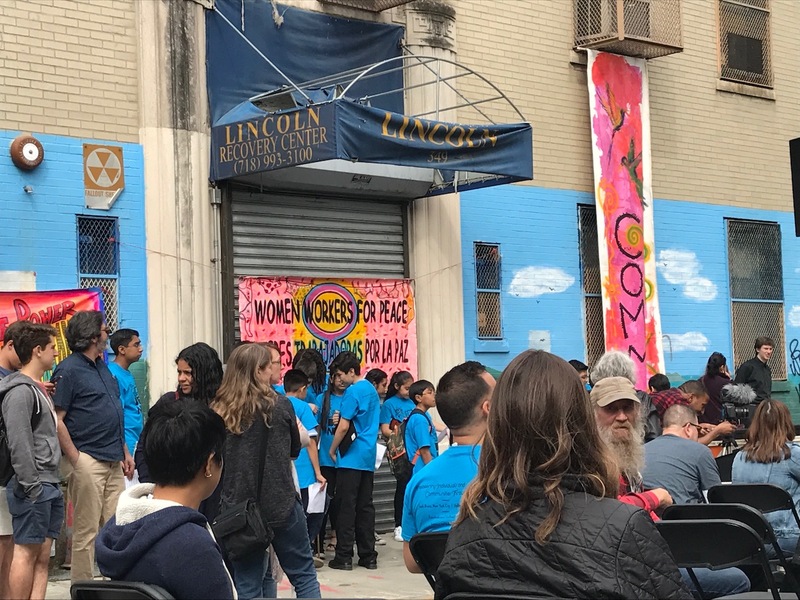 Many said that forming a community center could help cut down on problems young people in the neighborhood often run into for lack of other options. Most of the local organizations interested in calling the space their home now operate out of spaces that are donated, or which they rent. 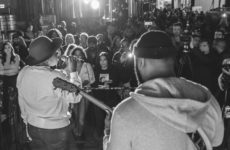 UpBeat NYC, a nonprofit organization that provides free music instruction to local youth, runs most of its programs out of a school, a church, and a library. The group’s co-founder, Richard Miller, said his organization urgently needs one affordable space to work from. “The main thing is to protect and defend the community and to help build and amplify the culture that’s already here,” said Miller.